Acupuncture is an historic form of Chinese medicine that is increasingly used in western countries to treat a wide variety of health issues. It can be used to treat both physical and mental health problems. The treatment itself involves the placing of very fine, sterile needles into the muscles. The process is typically comfortable however some points can “twang”. Once the needles are in place, clients often find it a deeply relaxing experience. 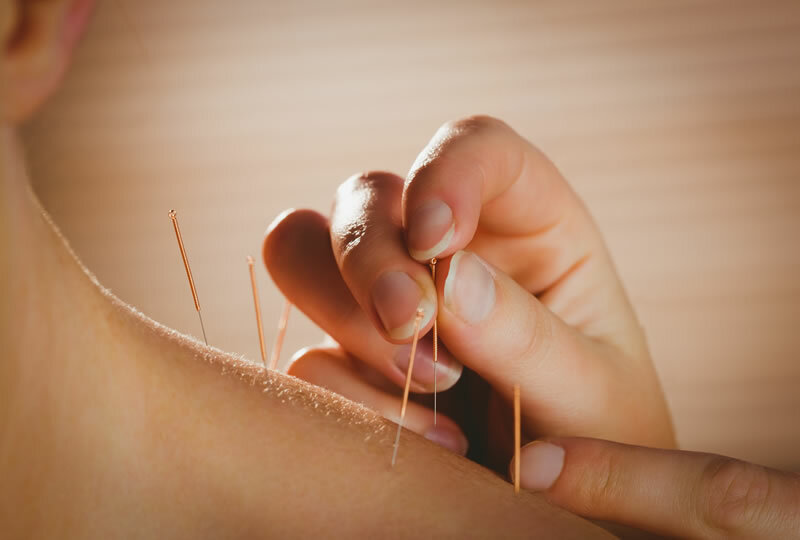 At The Artemis Clinic in West Wickham, Bromley near Beckenham, acupuncture is used primarily to address pain related issues, however, we also treat clients with headaches, stress and fertility issues. Acupuncture can be used either as a treatment on its own or as part of a physiotherapy treatment plan. The treatment approach used will vary depending on each clients’ presentation and will be discussed at the initial consultation. The Western View – Acupuncture works when the needles stimulate the nerves in the muscles. Signals are sent to the brain via the spinal cord. This process triggers the brain to release endorphins which are the bodies’ own natural painkillers. Acupuncture can also trigger the release of serotonin from the brain, this is a chemical involved with mood enhancement. The Traditional View – In a healthy individual, energy flows freely and harmoniously throughout the body, maintaining it in a balanced state. The Chinese refer to this energy flow as Qi, (pronounced chi). Disharmony in the flow of Qi can occur for many reasons including stress, poor diet and trauma. If Qi becomes unbalanced or stagnant, symptoms such as pain, fatigue, anxiety and insomnia can occur. The stimulation of appropriate acupuncture points can free the stagnation and help Qi to regain balance. Acupuncture can be used either as a treatment on its own or as part of a physiotherapy treatment plan. The treatment approach used will vary depending on each clients’ presentation and will be discussed at the initial consultation. Chronic Pain and Acupuncture - Will it Help You? Acupuncture is a form of treatment that helps some and not others. If an individual is responsive to acupuncture, it can be an invaluable tool to help manage ongoing symptoms and/or flare-ups. There are, however, no guarantees that acupuncture will relieve any form of chronic pain. If a new client presents to the clinic with chronic pain, three acupuncture sessions will generally be advised to begin with. If the treatment is going to help relieve the chronic symptoms, the benefits will be felt after three sessions. In such cases, it is often advised to continue with treatment and to begin to increase the time between appointments. If there is no benefit following three treatment sessions, there is unlikely to be one and we will discourage continuing with acupuncture. We take this approach to protect our clients from receiving unnecessary treatment as we (or any other practitioner) are unable to guarantee results with chronic pain. How Are Physiotherapy And Acupuncture Combined? At the clinic we use acupuncture as a treatment in itself, however, if is often used in combination with other techniques such as massage, exercise and posture advice. Each case is individual and treatment programs are developed to meet the needs of each client. How Much Does an Acupuncture Session Cost? Elaine Gavin MCSP DCHAc, obtained her postgraduate diploma in Chinese Medicine and Acupuncture from the Beijing University of Chinese Medicine and Pharmacology (DCHAc 2006). It was the same year she established her own private physiotherapy and acupuncture clinic. Ms Gavin is a Chartered Physiotherapist (BSc Hons 1996) and is a member of the Chartered Society of Physiotherapists (CSP), is registered with the Health Care Professions Council (HCPC) and is a practicing member of the Royal Society of Medicine (RSM). With over twenty two years of clinical practice, Ms Gavin brings a wealth of knowledge and experience to the treatment session, guaranteeing your concern will be addressed in as timely and comfortable a manner possible. Over the years I have been treated by several Acupuncture practitioners, some NHS, some private; some good, some not so good and the remainder pretty average. What I can say beyond any measure of doubt is that Elaine Gavin is the best Acupuncture practitioner I have ever met. On all counts, and by whatever measure applied, Elaine and The Artemis Clinic score maximum points in all areas and categories. Friendly and Fantastic. Treatments had physiotherapy and acupuncture. Helped me to get back to normality. A fantastic clinic with welcoming staff. Elaine is attentive and professional. Receiving acupuncture here has helped keep my condition under control. Would definitely recommend.